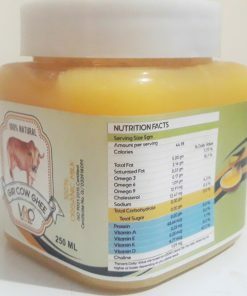 GHEE among the food is considered the oldest form of nutritious food. 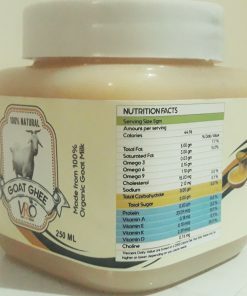 GHEE has tons of medical value properties which help in balancing hormones, one of the best health enhancing food items, use in end number of making traditional medicine, ayurvedic oil massage, and many more. 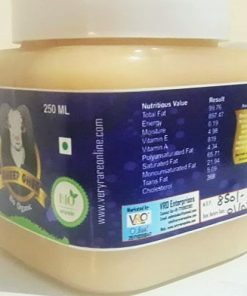 VRO Enterprises offer the best quality ORGANIC Cultured hand chunned ghee, made from milking free grazing Camel, Goat, Sheep, Gir Cow, Indian desi Cow (A2 milk) and donkey which are high in nutrition value. All the collected milk is then heated and set for fermenting curd min 2 to 3 days. After the curdling stage is finished it is then been chunned to make butter, after the butter is collected aside we then heat to reach the final stage which is GHEE. Quality is our Priority and with our 100% Organic products, WE Ensure That. 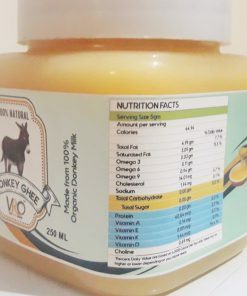 • Rich in Vitamin A & D.
• Contain all 3 Omega Fatty Acid 3 – 6 – 9. 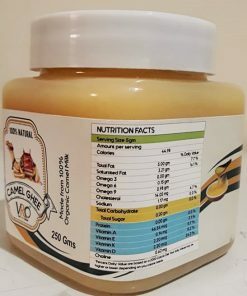 • Contain Choline which is good for memory, mood, muscle control, and other brain and nervous system functions. 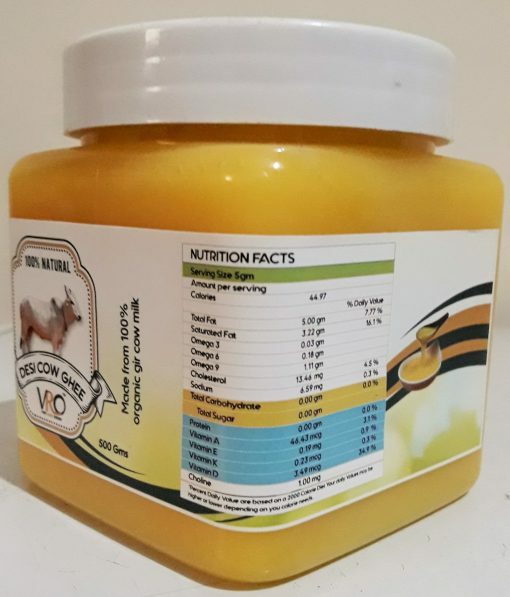 • Help cure respiratory disorder & gastric problems. • Helps in Maintaining healthy skin and good eyesight.